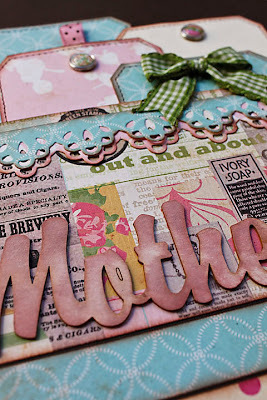 I used papers from the Scrapbook Studio DT kit to make this layout - a lovely vintage layout to celebrate mothers! Also see the finished layout, with pics, and a variation on the title HERE. 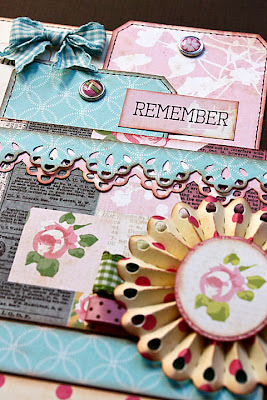 This layout is a lovely combination of girly stuff - bows, ribbon, lace borders and pretty brads. add more or less photos – depending on what you feel like! 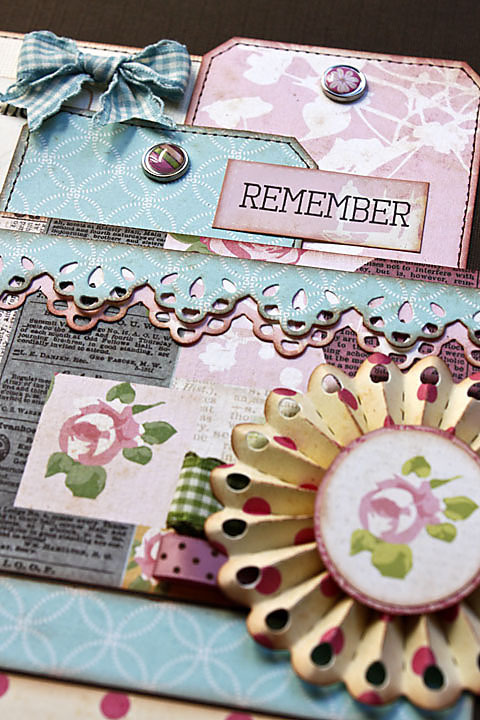 to add hidden journaling to your layout. bit of water and just brushed it over the whole title. It gave a slightly mottled finish. The colour blends in perfectly with the pinks in the layout. Cariena made a dark title and embossed it with UTEE...which gave it a more shiny finish. You can play around and use any of the endless techniques to finish your title off beautifully. 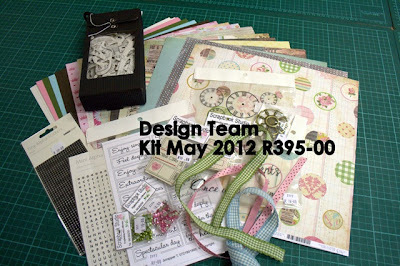 e-mail them at sales@scrapbookstudio.co.za should you be interested in buying one of these kits! You can choose your own chipboard title - they have a huge selection!